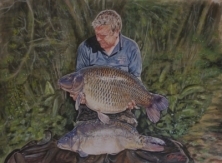 Immortalise your favourite carp picture with a superb watercolour painting by one of Hampshire’s most talented artists. 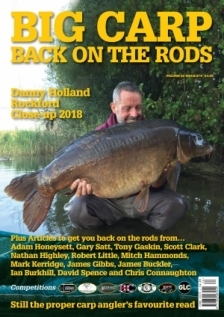 Email your picture to bigcarpmagazine@hotmail.com and allow one week for delivery. For mounted in a clipped perspex mount pictures including recorded delivery postage the cost is an additional £15. For paintings to be professionally framed in a natural Ash wood frame and posted Recorded delivery in boxes the costs is an additional £50.